The Vango AirBeam Awning Inner Bedroom Sleeping Compartment is a two person inner-tent for Idris, Kela, Galli Compact and Galli AirBeam inflatable awnings. This double bedroom inner takes just a couple of minutes to clip into place and can then be packed away and pitched as one with the awning. 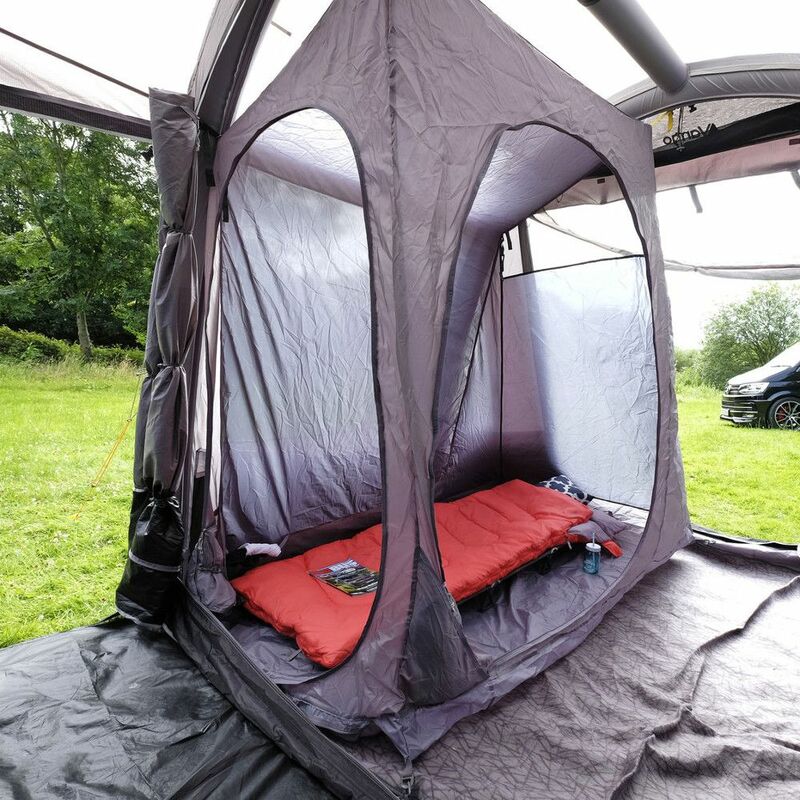 The sleeping compartment has two doors and is made from breathable polyester with mesh at the top of both entrances. This double bedroom inner can accommodate a double inflatable airbed.